One electrum coin of sixth-stater weight (Gordion inventory number 1104). Obverse: roaring lion head facing right. Reverse: single punch. 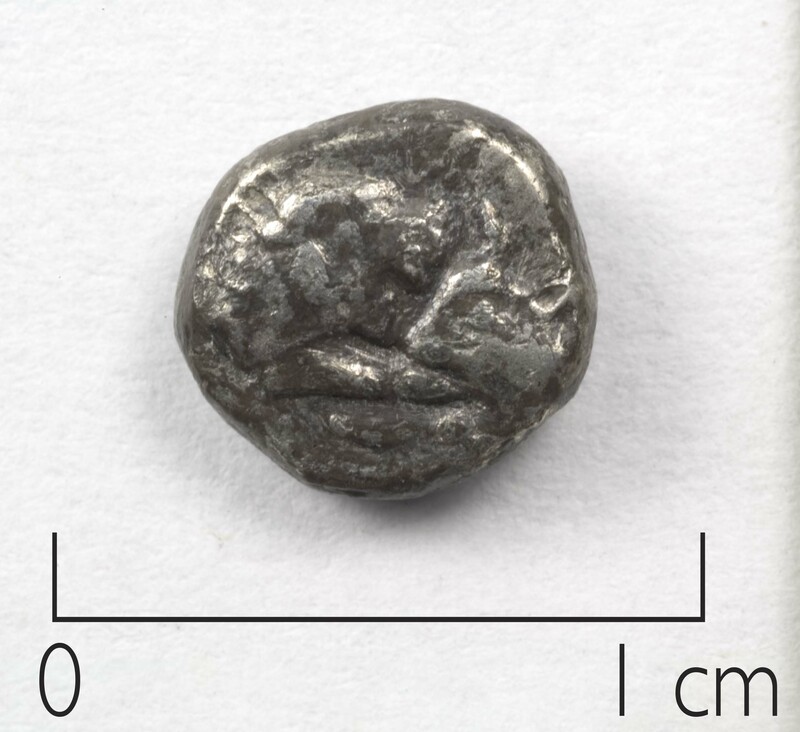 Weight 2.35 g.
Electrum coin, of one-third stater weight. 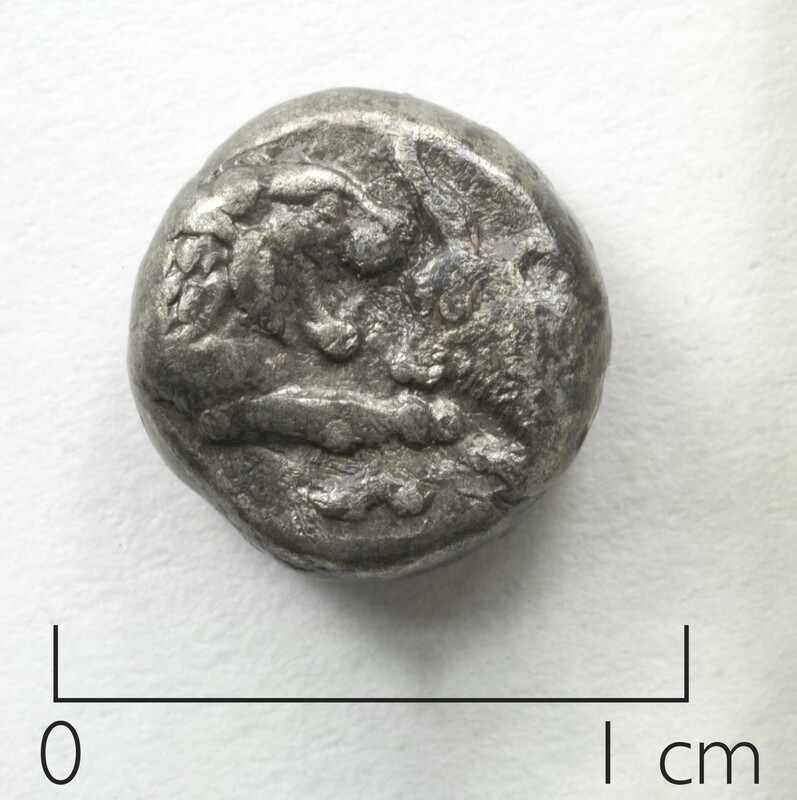 Obverse: roaring lion head facing right. Reverse: two incuse punches. 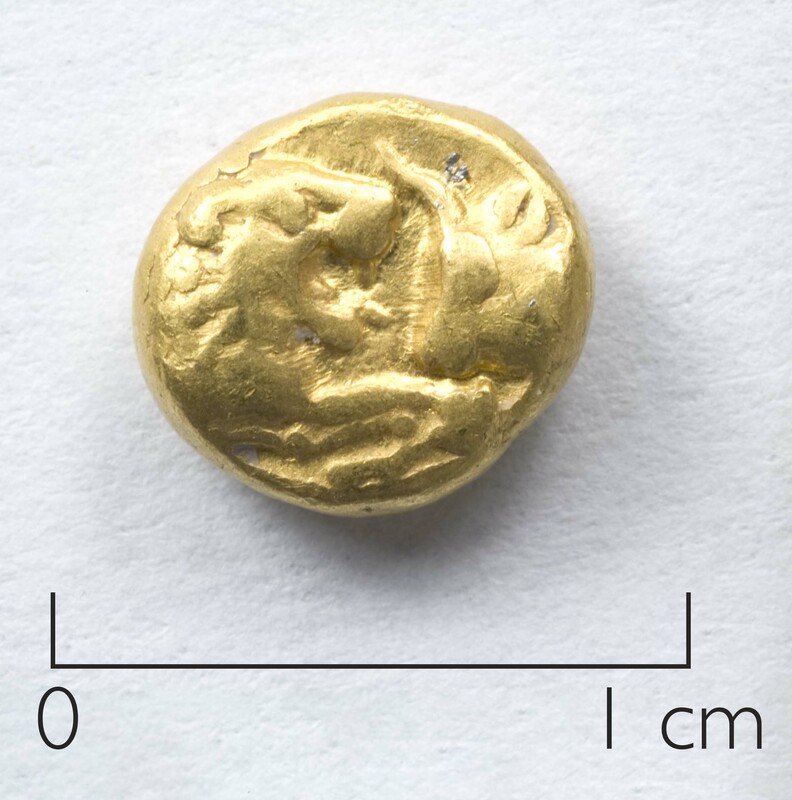 Weight: 4.71 g.
Electrum coin, of one-third stater weight. 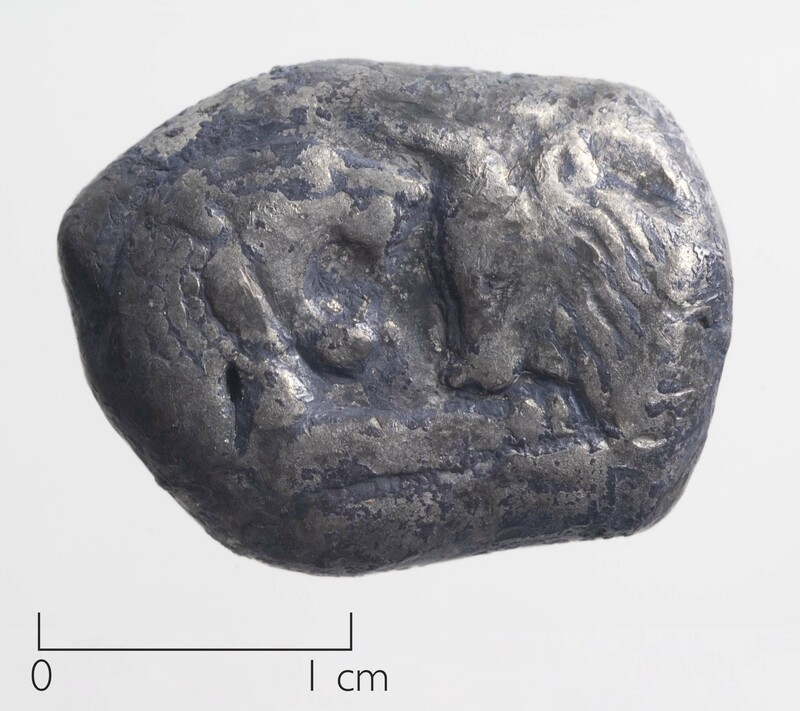 Obverse: roaring lion head facing right. Reverse: two incuse punches. Diameter 11-13 mm, weight: 4.75 g.